This article maintains that labyrinth-cases of multiple outlets, although difficult, but pleasant to construct, are probably the way to go to strengthen computer-aided learning. The objective of the article is to show, based on a particular labyrinth-case, how to construct labyrinth-cases and consolidate their contents based on associative knowledge retrieved from a database. A labyrinth-case motivates the student to construct his or her own knowledge to solve the case. Some of this knowledge is in the labyrinth-case itself. Additional knowledge could be obtained underway while solving a labyrinth-case. The particular labyrinth-case discussed here obtains additional knowledge from a database with small texts that suits the labyrinth-case. The database, based on an organisational model called the Octograph, includes concepts, exercises, methods, theories, and cases. These are exploited according to detailed study plans1 administered by the tutor. The introduction of thematic labyrinth-cases2 is among the latest developments in this plan. The article draws on systems theory, constructivism, and theories of thinking and didactics ascribed to Ibn Khaldun (1332-1406), an eminent scholar from the 14th century (al-Araki, 1983). Al-Araki, M. (2005). The Octograph and E-Learning by Labyrinth-Cases. 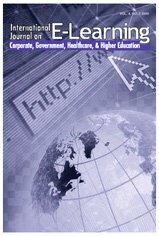 International Journal on E-Learning, 4 (3), 281-298. Norfolk, VA: Association for the Advancement of Computing in Education (AACE). Retrieved April 19, 2019 from https://www.learntechlib.org/primary/p/4762/. Bednar, A.K., Cunningham, D., Duffy, T.M., & Perry, J.D. (1992). Theory into practice: How do we link? In T.M. Duffy & D.H. Jonassen (Eds. ), Constructivism and the technology of instruction: A conversation, (pp. 17-34). Hillsdale, NJ: Lawrence Erlbaum. Coles, C. (2002). Variability of student of accountancy teaching: Evidence from a Scottish business school. The International Journal of Management Education, 2(2), 30-39. Frame, D.J. (1995) Managing projects in organizations: How to make the best use of time, techniques and people. San Francisco: Jossey-Bass. Jonassen, D.H., Dyer, D., Peters, K., Robinsen, T., Harvey, D., King, M., & Loughner, P. (1996). Cognitive flexibility hypertexts on the Web: Engaging learners in meaning making. In B.H. Khaldun, I. (1958). The muqaddimah: An introduction to history, (Translated by F. Rosenthal), Bollingen Series XLIII, New York: Pantheon Books. Kelley, G.A. (1991). The psychology of personal constructs, Vol. 1. A theory of personality. London and New York: Routledge. Luhmann, N. (1990). Essays on self-reference. New York, Oxford, UK: Columbia University Press. Meredith, S., & Newton, B. (2003). Models of eLearning: Technology promise vs learner needs. Literature Review. The International Journal of Management Education, 3(3), 43-56. Mintzberg, H. (1979). The five basic parts of the organization. In J.M. Shafritz (Ed. ), Classics of organization theory, (pp. 219-232). Chigaco: The Dorsey Press. Newby, T.J., Stepich, D.A., Lehman, J.D., & Russell, J.D. (1996). Instructional technology for teaching and learning: Designing instruction, integrating computers, and using media. Upper Saddle River, NJ: Prentice Hall.